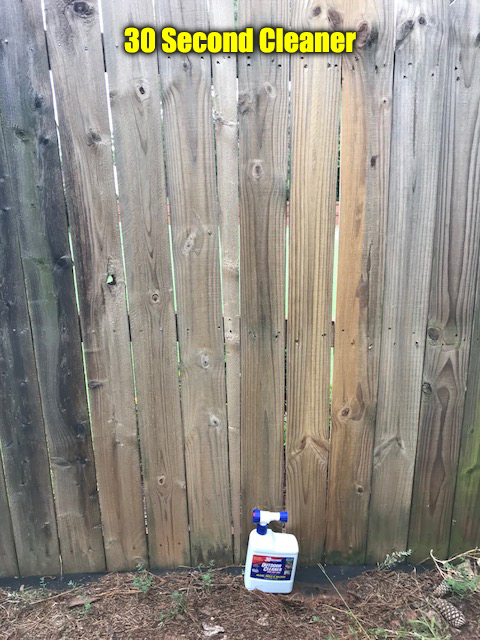 Whether you’re going to pressure wash a fence or deck or simply want a spray on cleaner, Doc plays around and tests some products that many are talking about. To keep the test “fair” we followed the instructions with the exception of any scrubbing or brushing. We were seeing what works without it. Many of these products are KILLERS… not cleaners and you have to wait up to MONTHS to see results. Just not what we were looking for. 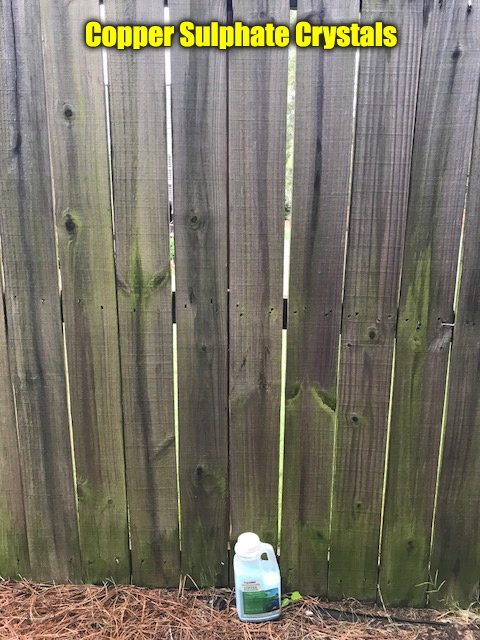 We want a FAST cleaner to help us pressure wash the fence easier. 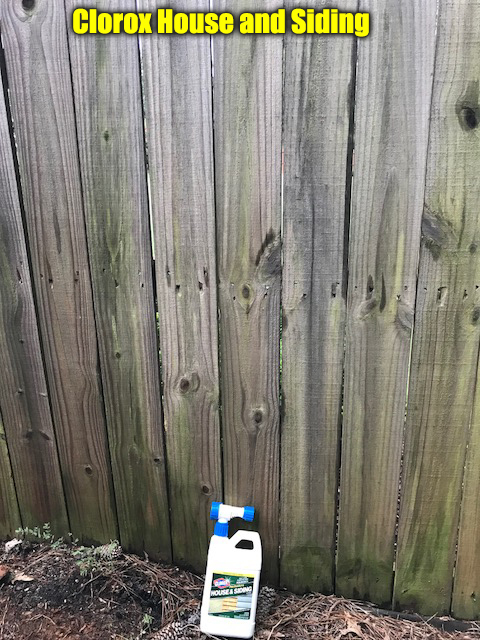 Click the bottles to see links. 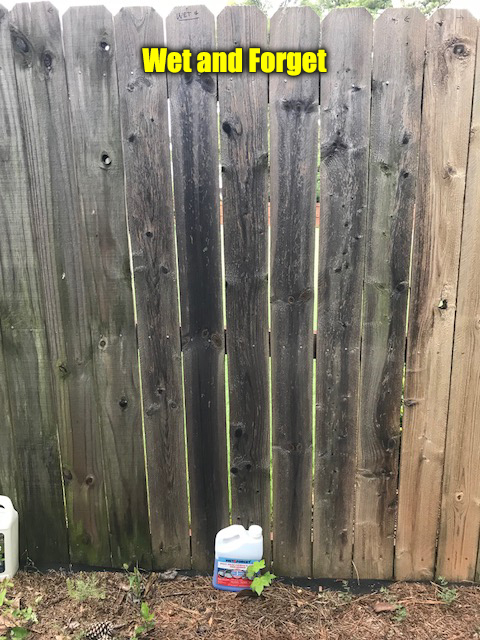 Here is a TWO PACK of the hose end cleaners. 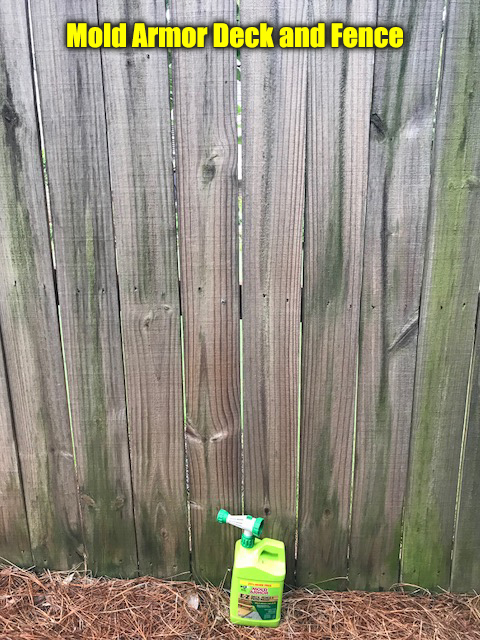 Here is a 4 PACK of GALLON jugs for pressure washer. This was NOT s strict “controlled” test. 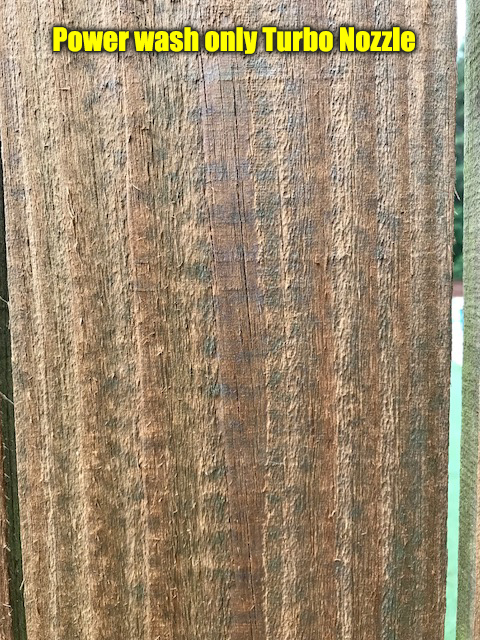 This was my own test to see what would make MY LIFE easier when pressure washing the fence. 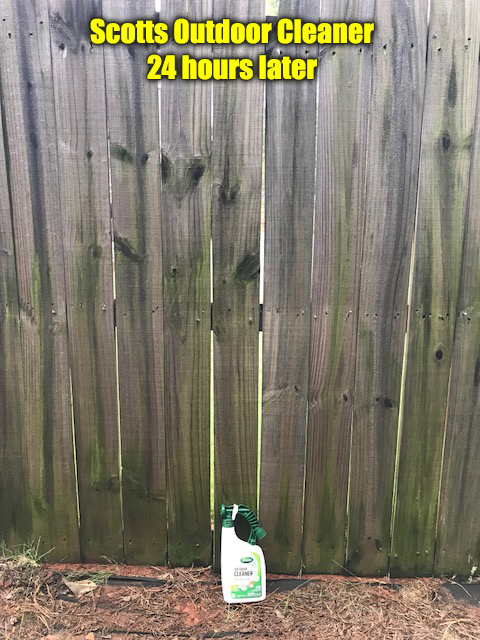 To clean an old fence, spray panels ahead of time with 30 Second Cleaner. 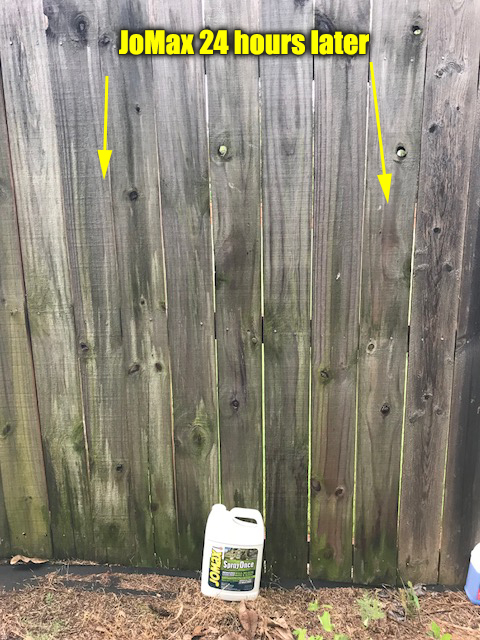 Wait a few minutes and power wash with a 40 degree tip. Come back to the panels after most of the water is gone and spray lightly again with 30 second cleaner. This time, leave it on. 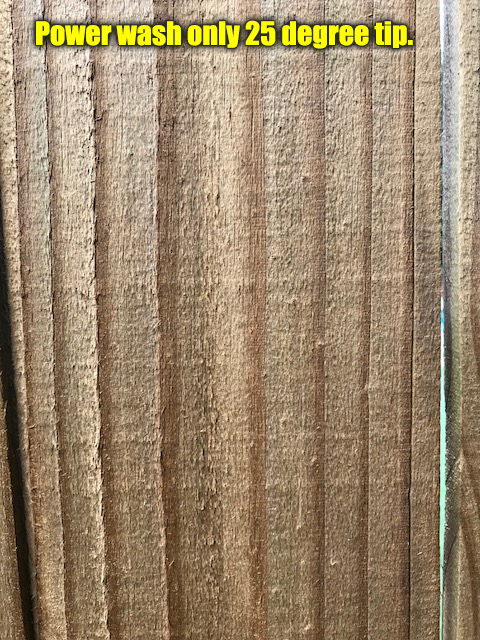 You will have a fence that looks like brand new lumber. 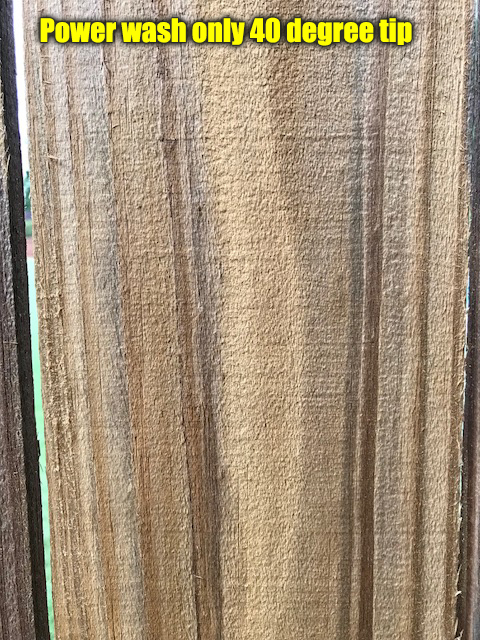 Allow to TOTALLY dry before staining.